Joaquin Sorolla y Bastida (1863-1923) was a Spanish painter who worked in a number of genres, and was particularly noted for his portrayal of the Spanish sunlight. Born in Valencia, he began studying art at age nine. When he was eighteen he moved to Madrid and began studying the old masters hanging in the Prado. He won a grant to study in Rome for four years and found a lot of support at the Spanish Academy there. 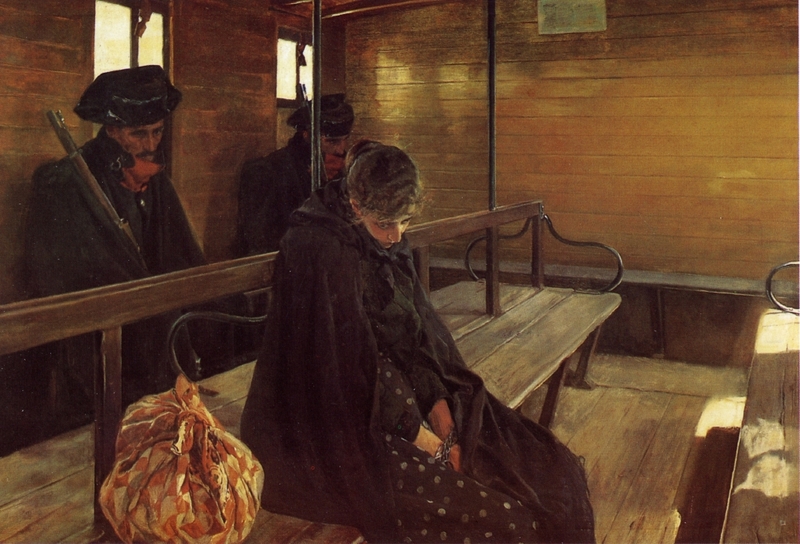 He traveled to Paris in 1885 where he got his first exposure to modern painting. 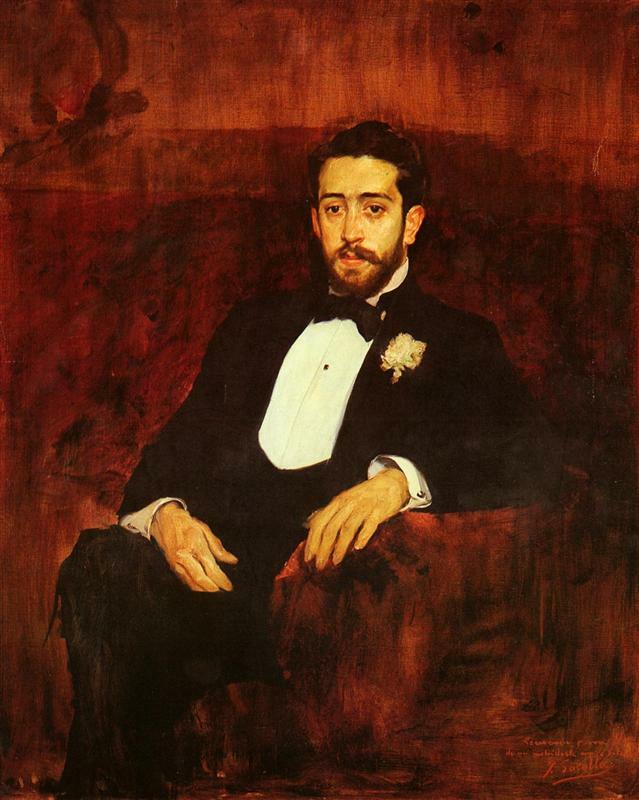 He returned to Spain in 1888 where he married his former teacher's daughter. 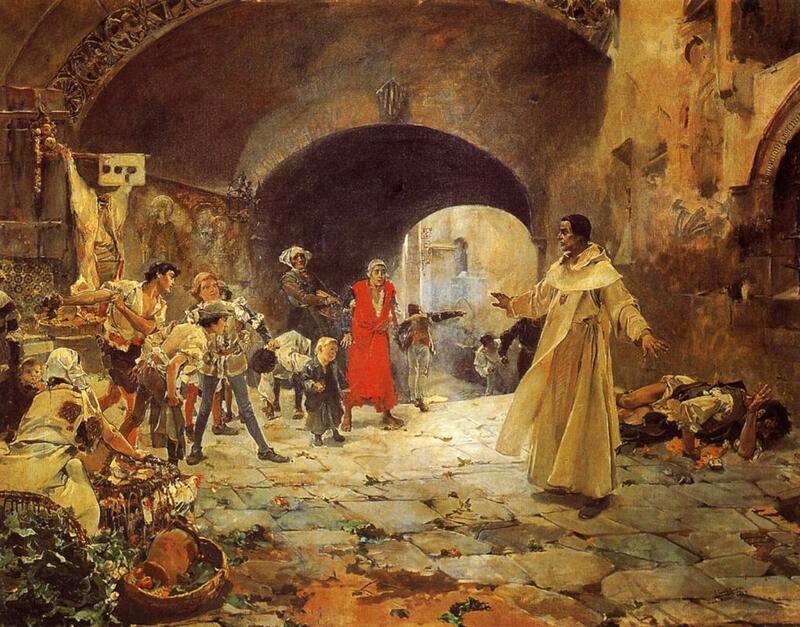 Most of his works in this early period were history paintings, but he soon progressed into portraits and genre scenes. He began painting his most recognizable works, large Valencian beach scenes. 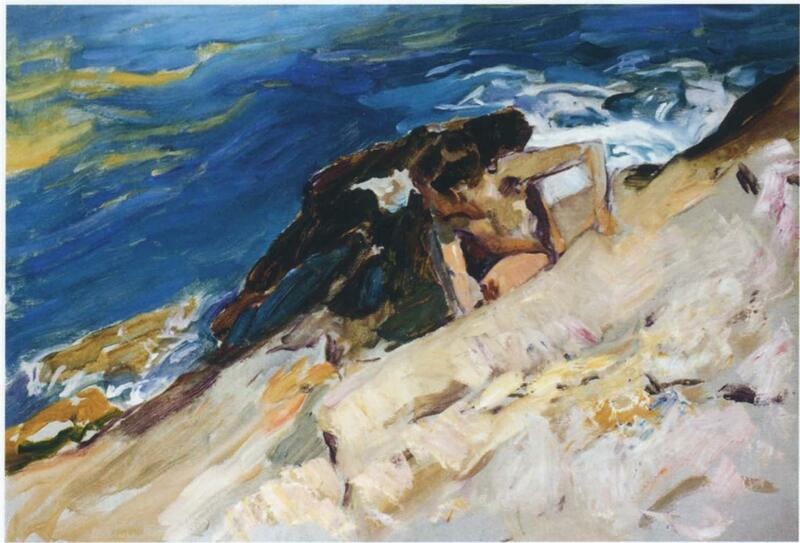 Sorolla painted quite a number of these scenes, showing people from all ages and walks of life enjoying the beach. Much of his work bears some resemblance to Impressionism, but the influence of the Spanish climate and culture is immense. 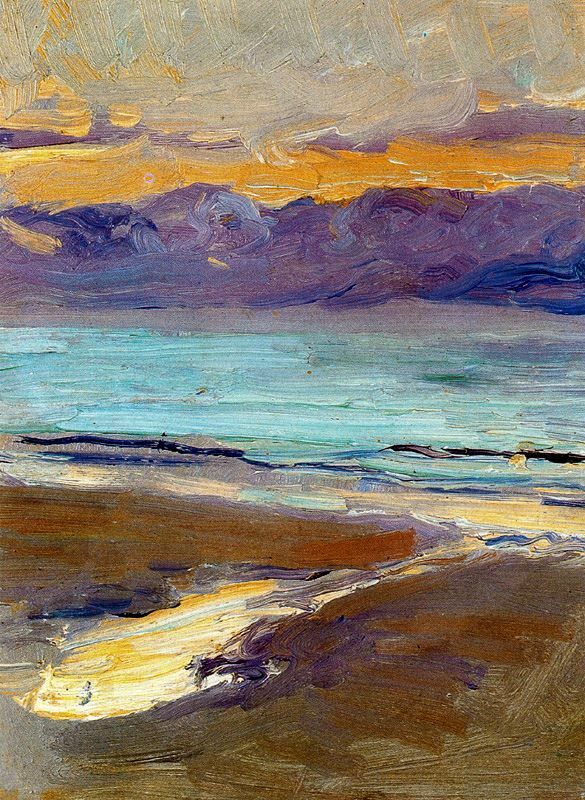 Sorolla also demonstrated a highly developed relationship to form and color, beyond their role in the rendering of a particular scene. Seashore is an example of this tendency. In this beach scene, the landscape is far less realistic. The shapes and bands of color seems to exist for themselves rather than inservice of the beach, almost suggesting the ethos of abstraction. The rich, bright colors and large, visible brushstrokes are beautifully utilized in this piece to convey the intense brilliance of this sunset and the blazing light of the beach.